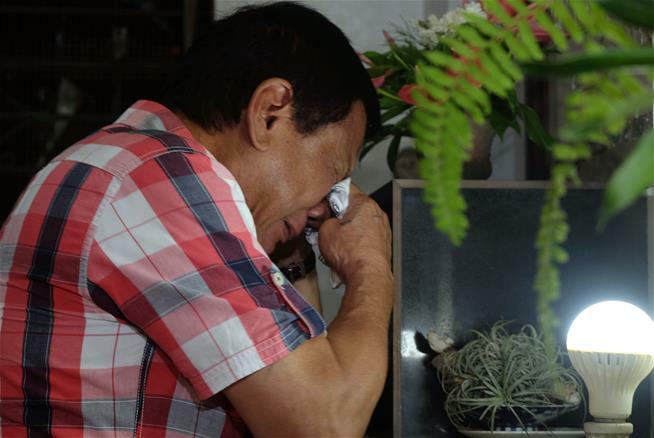 (P1) Rodrigo Duterte, the bombastic mayor of a major southern city, was heralded Tuesday as president-elect of the Philippines after an incendiary and populist campaign that projected him alternatively as an emancipator and a looming dictator, the AP reports. The 71-year-old, whose nicknames include “The Punisher” and “Asia’s Trump,” said he accepted the win with “great humility” after polls showed him with an overwhelming lead over his rivals, reports the BBC, which notes that while Duterte has promised a harsh crackdown on crime and a sweeping overhaul of the political system, it’s not clear what he plans to do to deliver on his promises—which include killing “100,000 criminals” and pardoning himself. (P2) “Forget the laws on human rights. If I make it to the presidential palace, I will do just what I did as mayor,” Duterte said during his final campaign rally on Saturday. “You drug pushers, hold-up men, and do-nothings; you better go out. Because I’d kill you,” he said. “I’ll dump all of you into Manila Bay, and fatten all the fish there.” On foreign policy, he vowed that if South China Sea talks failed, he would sail to an artificial island newly created by China and plant the Philippine flag there. China, he said, could shoot him and turn him into a national hero. In the election for vice president, who’s separately elected in the Philippines, the son of late dictator Ferdinand Marcos is trailing by a hair to a political neophyte, Rep. Leni Robredo, who is backed by outgoing President Benigno Aquino III. Why to people and the news compare him to Donald Trump? In your opinion, do you think he will make a good president? What can countries do to fight against illegal drug dealers? What character traits should a good president have?